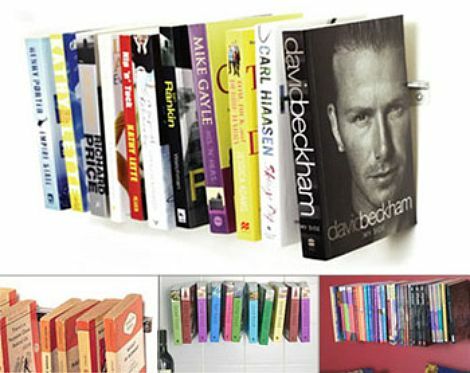 i like this quirky little sticklebook shelf. it’s built like a fine tooth comb. 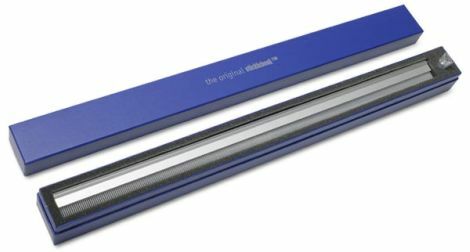 the wall bracket is aluminum which has a strip of little plastic grippy “teeth” that hold onto the cover and pages, which creates a floating illusion. it is meant for any size paperback book, and can hold up to a baker’s dozen. no footprint – two thumbs up! purchase them directly from sticklebook website, singulier and also here. Funny. Price makes it impractical, but the uniqueness makes it a good conversation piece. I m (I can t make an apostrophe, what the?) tempted. i could totally see a bunch of your books just a hangin’ on the wall in this thing! it’s us $28.70 on the sticklebook website plus $14.50 shipping to the us, so a total of $43.50. a little expensive for a novelty but if it works maybe it’s not so bad! i just like how it takes up no spce on the floor. nice to see you – and btw your new photo of the “prehistoric” fruit is TOO funny!